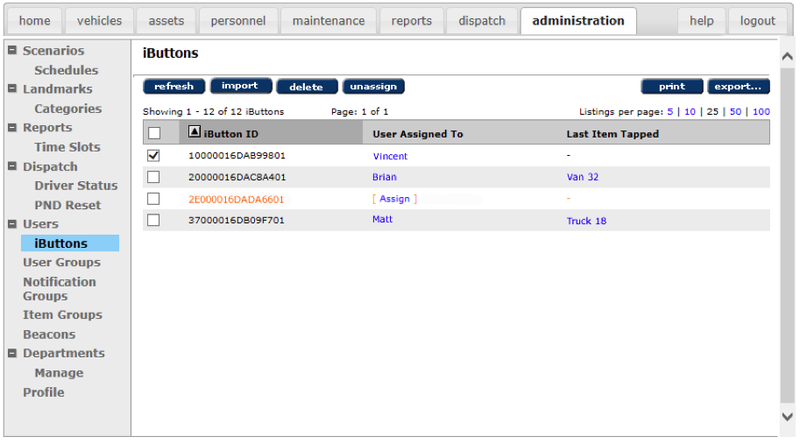 When you have multiple people sharing or swapping vehicles, your tracking system is only giving you part of the story. RFID tags can help you with time tracking, accountability, and team management in real time. Every employee gets a unique identification code, embedded in a small and convenient iButton. After starting the vehicle, the employee will be prompted to insert their iButton. If not, a buzzer will sound. Our GPS tracking systems seamlessly integrates* with the RFID tag, so you can run your usual reports that tell you what vehicle was going where, when, but now you also know who was driving. The iButton receiver is built to mount flush to a variety of dashboards. Movin’ On will install your RFID system so that it’s easy to use and access, just like it was part of the vehicle. No need to learn new software or store a new set of bulky hardware. Movin’ On GPS’s RFID system is built right into your existing tracking portal. Log into one place, and see everything from your computer or smartphone.